The Acura RLX Sport Hybrid doesn’t have the same cache as the Toyota Supra, but don’t sleep on this four-door sedan because it packs a mean punch. The RLX Sport Hybrid is Acura’s most powerful four-door model. More importantly, it’s the company’s second most powerful model, trailing only the NSX supercar. 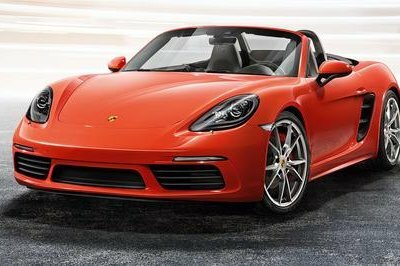 It features a 3.5-liter V-6 engine that produces 310 horsepower and three small electric motors, including a 47-horsepower motor inside the seven-speed, dual-clutch automatic transaxle. 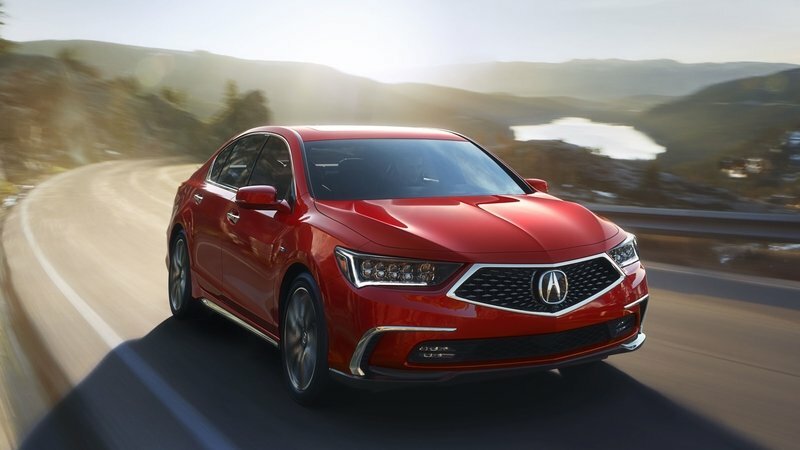 Two other motors mounted at the rear axle supply 36 horses each, and when you combine all of that, the RLX Sport Hybrid’s powertrain is capable of producing a whooptastic 377 horsepower and 273 pound-feet of torque. Those numbers translate well in the performance department. With that much power, the RLX Sport Hybrid can scamper from 0 to 60 mph in 5.15 seconds, an impressive time for a four-door hybrid sedan. It also returns 28 mpg in the city and 29 mpg on the highway. Those numbers suggest that you’re better off using this hybrid in the urban areas. For all of that, the Acura RLX Sport Hybrid starts at $61,900. It is, admittedly, a steep price for an Acura. That should also explain why the sedan hasn’t sold particularly well in the U.S., totaling only 1,237 sold units in 2017. Read our full review on the 2018 Acura RLX Sport Hybrid. Surprised to see a Lincoln on this list? Don’t be. 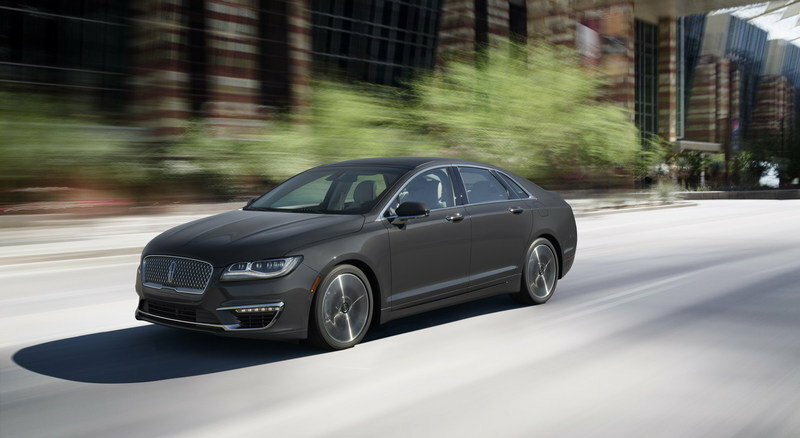 The Lincoln MKZ won’t excite anybody’s imagination, but be careful in underestimating this sedan, especially after the 2017 model, which received an exclusive-to-the-brand 3.0-liter twin-turbo V-6 engine that spits out an impressive 400 horsepower and 400 pound-feet of torque. A six-speed automatic transmission sends all that power to all four wheels, enabling the sedan to strike a 0-to-60-mph time in just 5.2 seconds. Top speed is capped at 155 mph. Sure, the MKZ has its flaws — the interior isn’t that good, and the ride is so-so — but since we’re talking about power here, it’s hard to dismiss a sedan that has enough power to impress even those who are skeptical to the Lincoln brand. Unfortunately, buying the range-topping MKZ means that you’re going to have to acquiesce to sub-par fuel economy ratings. The 400-horsepower MKZ returns a pedestrian 18 mpg in the city and 27 mpg on the highway. The range-topping MKZ starts at $46,995. You’ll have to pay to get one, but the good news is that the MKZ is cheaper than most models in its segment. Besides, it’s hard to complain about that amount when you’re getting a twin-turbo V-6 that produces performance car-levels of power. You’re not going to have trouble finding one, too. Sales of the MKZ fell off significantly last year as Lincoln only sold 19,82 units of the sedan, a far cry from the 27,387 units the automaker moved in 2017. Let’s pour one out for the Infiniti Q50S Hybrid, shall we? The long-running hybrid sedan is getting discontinued this year, and we’re going to lose out on one of the more interesting hybrid models in its segment. A combination of poor sales and the automaker’s new focus on electric cars contributed to the Q50S Hybrid’s demise. It’s a shame because when it was around, the Q50S Hybrid showed that it was a capable hybrid sedan. 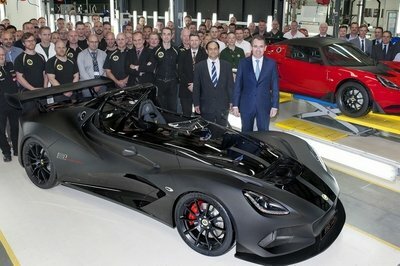 It was powered by a 3.5-liter V-6 engine and an electric motor that combined to produce an impressive 360 horsepower and 258 pound-feet of torque. A seven-speed automatic transmission handles power distribution duties to all four wheels. With that much power and torque at its disposal, it came as no surprise to see the hybrid sedan cover a 0-to-60-mph time of just 4.9 seconds, which was 0.3 seconds quicker than the Porsche Panamera. Safe to say, the Infiniti Q50S Hybrid was one of the fastest hybrid sedans in the market when it arrived in 2014. Infiniti has decided to send the model to the retirement home, but make no mistake; the Q50S Hybrid was a force to be reckoned with. 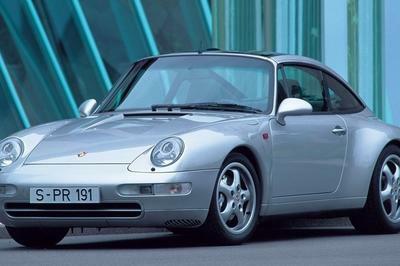 It was even capable of returning 26 mpg of fuel in the city and 30 mpg on the highway. The last time Infiniti had the Q50S Hybrid, the sedan came with a price tag that started at a little over $50,000. The Kia K900 is arguably the most underrated luxury sedan in the market. Perhaps there’s still a stigma attached to the Korean automaker. Perhaps customers are just more accustomed to buying traditional luxury sedans. Either way, nobody should be sleeping on the K900 anymore. Not only does it have plenty of standard features and costs less than most of its rivals, but it also boasts a 3.3-liter twin-turbo V-6 engine that makes 365 horsepower and 376 pound-feet of torque. It’s the same engine found in the Kia Stinger GT. An eight-speed automatic transmission also comes standard. 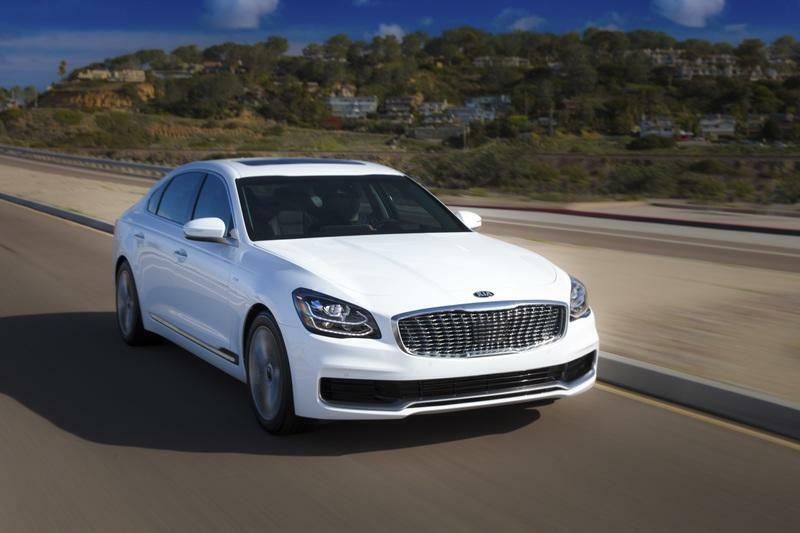 It only takes 5.3 seconds for the K900 to sprint from 0 to 60 mph, and top speed is rated at 150 mph, which is right around the standard in its segment. If the K900 has one drawback relative to its segment, it’s that it only returns 18 mpg in the city and 25 mpg on the highway. Those numbers are well below the average ratings in its class. Still, what you pay for in fuel over the course of your K900 ownership won’t change the fact that the K900 costs just $59,900. The Mercedes E-Class, by comparison, could set you back as much as $70,000. The all-new Ford Explorer is everything you want from a three-row SUV. It comes with an all-new design, boasts plenty of state-of-the-art technology, and most importantly, at least to some people, a 3.0-liter twin-turbo V-6 engine that produces an impressive 400 horsepower and 415 pound-feet of torque. A 10-speed automatic transmission comes standard, and that’s responsible for sending power to all four wheels. Ford has yet to reveal the Explorer’s performance times, but we do know that the all-new SUV is capable of towing as much as 5,600 pounds. It’s not the best mark in its segment — the Dodge Durango can tow as much as 8,700 pounds — but the Explorer makes up for it in a lot of different ways, none more important than its stature as an all-new SUV. 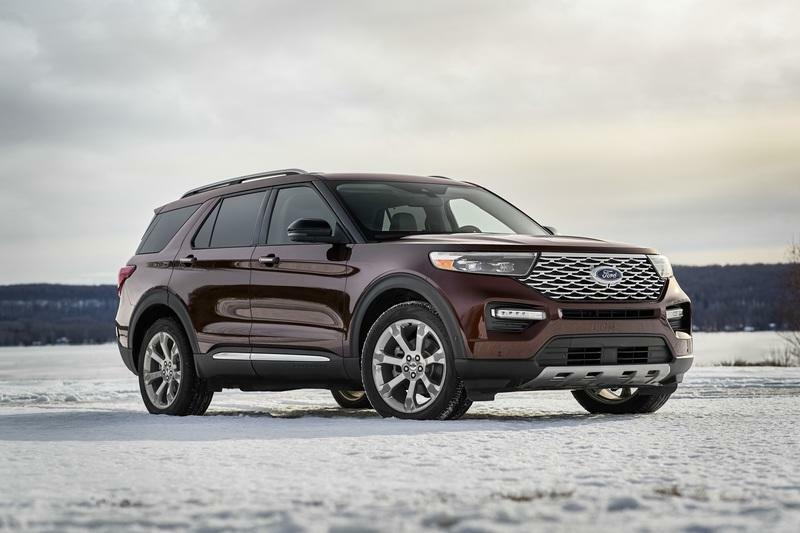 Pricing details have not been announced, but Ford did say that the Explorer should start at somewhere in the neighborhood of $50,000. For that amount, you can actually choose between the Supra and the Explorer, and that choice isn’t as difficult as it sounds. It’s the Explorer all the way. Here’s a question: would you prefer a 355-horsepower Japanese sports car that costs over $50,000 or would you rather have a Korean performance sedan that packs 365 horsepower for the same price? 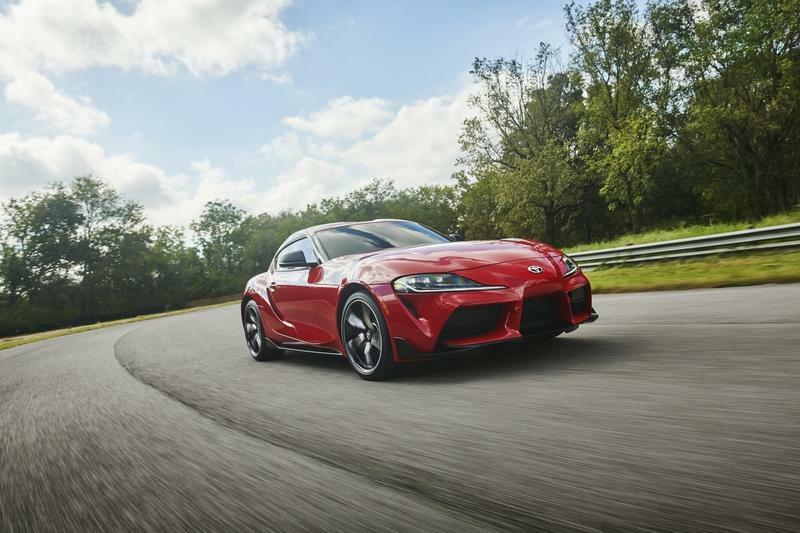 It’s a fair question, at least until you realize that the Japanese sports car is the Toyota Supra and the Korean performance sedan is the Kia Stinger GT. 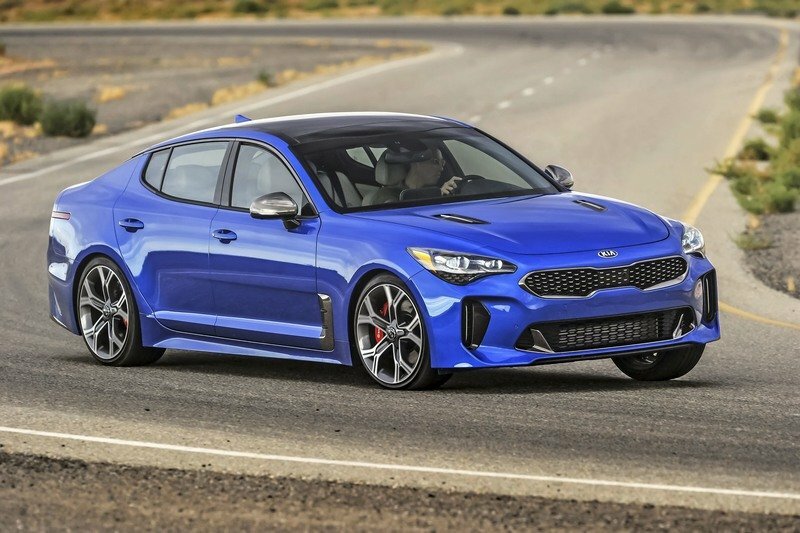 From there, it gets a little tricky, in large part because the Stinger GT is arguably the best model Kia has ever built. That’s high praise for the Stinger GT, but it backs it up with a package that also includes agile and lively handling, plenty of interior and cargo space, and enough standard features to make your head spin. At the heart of it all, though, is the Stinger’s 3.3-liter V-6 engine. Not only is it good for 365 ponies, but it also produces 376 pound-feet of torque. Those power numbers help the Stinger GT accelerate from 0 to 60 mph in just 4.4 seconds. 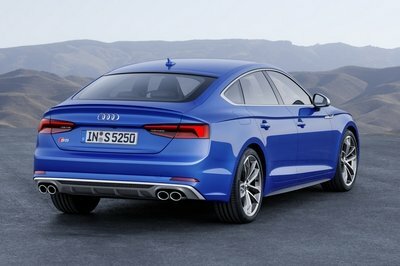 That’s just 0.1 seconds off the pace of the Audi S5 Sportback. The Stinger can also hit a top speed of 167 mph, an impressive number for a car of its size. That’s a higher top speed than the S5 Sportback (155 mph) and the Infiniti Q50 Red Sport (153 mph). It’s not the most fuel-efficient car in the world — 18 mpg in the city and 25 mpg on the highway — but you’re still getting the whole package for a starting price of $52,190? Sounds like a good deal to me. The Volvo XC60 T8 is one of the best-looking crossovers in the business. But as incredible as its design is, you’re not going to look at the XC60 T8 and say that it’s dripping in power. Well, looks can be deceiving, and no more is that evident than in Volvo’s resident hybrid crossover. The XC60 T8 may not look the part of an all-conquering crossover, but its power and performance capabilities suggest that it’s capable of being one. Sitting at the heart of the XC60 T8 is a 2.0-liter four-cylinder engine that works in concert with an electric motor to produce a combined output of 407 horsepower and 472 pound-feet of torque. An eight-speed automatic transmission sends power to all four wheels. As a result, the XC60 T8 is capable of accelerating from 0 to 60 mph in just 5.3 seconds before setting off on a top speed run that maxes out at 143 mph. Given its identity, the XC60 T8 is more than just about its power and performance. 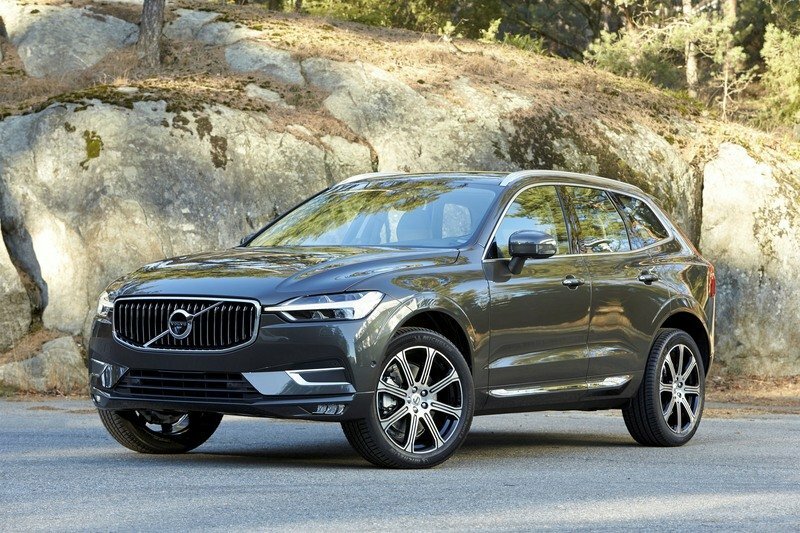 It can also tow as much as 1,653 pounds, or so Volvo claims, and return a combined fuel economy rating of 26 mpg, better than what the BMW X3, Mercedes-Benz GLC, and Audi Q5 can all achieve. Did you know that almost all trim options of the Chevrolet Tahoe are powered by the same 355-horsepower, 5.3-liter V-8 engine? Better believe it, folks. The Tahoe isn’t messing around. The Chevy SUV is one of the best ones in its segment. Its success is owed to an overall presentation that includes exceptional reliability, comfortable ride, and of course, one of the best V-8 engines in its segment. On paper, the Tahoe’s V-8 engine doesn’t just produce 355 horsepower. It also spits out 383 pound-feet of torque, which is enough to give the SUV a maximum towing capacity of 6,400 pounds. The SUV also returns a decent 15 mpg in the city and 21 mpg on the highway. Those numbers are about average in its segment. The Tahoe doesn’t jump off the line as fast as it probably should — it can accelerate from 0 to 60 mph in 7.2 seconds — but let’s face it, you’re not buying a Tahoe because it’s capable on a drag strip. You’re buying it because it offers a comprehensive package of features and equipment that makes for a solid SUV. 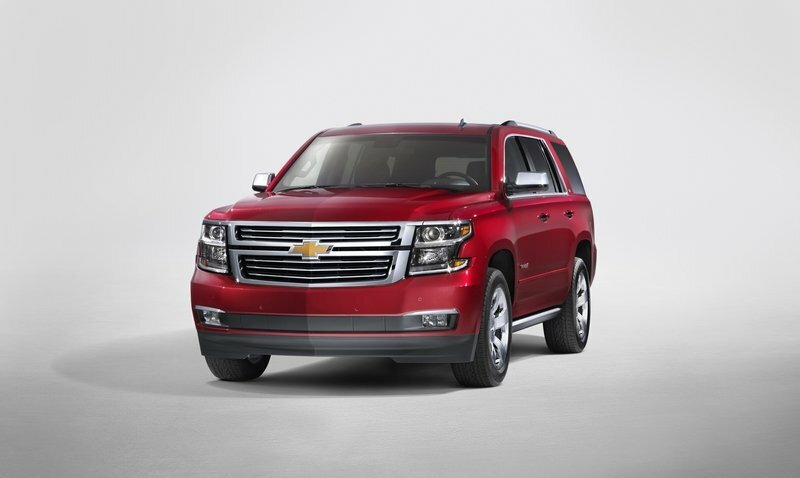 The Chevrolet Tahoe starts at $48,000 and can go all the way up to $80,000. The Toyota Tundra is one of those pickups that just doesn’t mess around. Do you want flair? Go somewhere else. How about a splash of panache? Nope. Not here. The no-frills attitude is one of the reasons why the Tundra is one of Toyota’s most popular models. Then again, a pickup is only as good as the amount of power its engine makes. 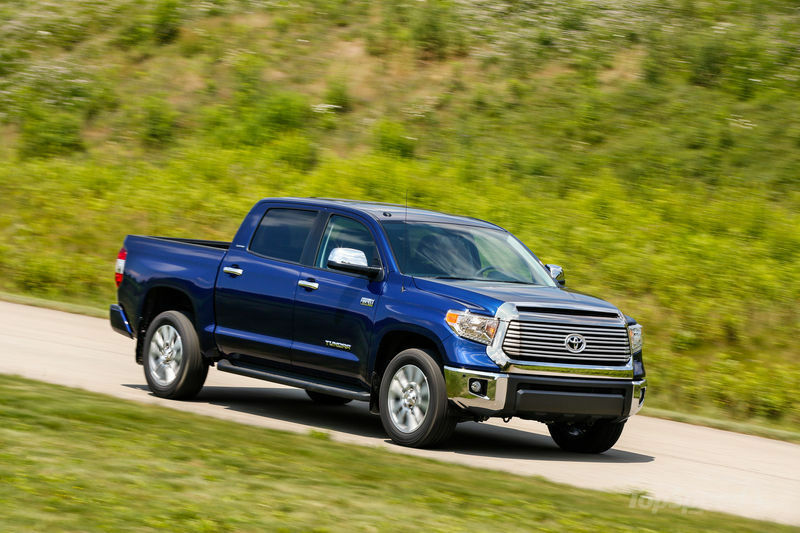 Well, the Tundra doesn’t fall short there, either, especially when you’re talking about the higher-trim spec that features a powerful 5.7-liter V-8 engine. That powertrain produces an impressive 381 horsepower and 401 pound-feet of torque. The output doesn’t jump off the page, but you have to understand where the Tundra uses it. The pickup is capable of sprinting from 0 to 60 mph in 6.5 seconds, which is actually impressive in its own right. But the Tundra isn’t here to win drag races; it’s here to be the best pickup it can be. A big part of that involves its ability to tow things, like really, really heavy things. Good thing, then, because the Tundra’s maximum towing capacity is a whopping 10,200 pounds. That’s one of the best marks in its specific segment. Unfortunately, there are also disadvantages in using a V-8 engine on a pickup, one of which is poor economy. The Tundra V-8 might as well be the poster truck for that since it only returns a paltry 13 mpg in the city and 18 mpg. Still, you could do worse in this segment than the Toyota Tundra. Pricing for the Tundra starts at $31,000 while the most affordable version of the 381-horsepower, V-8 model starts at about $33,000. 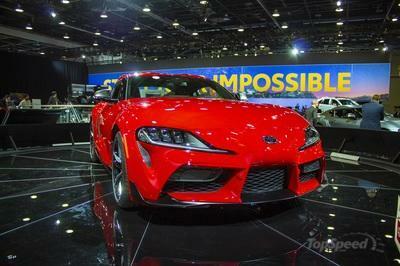 It’s only fitting that we end this list with a BMW, the same automaker that worked with Toyota to develop the Supra. 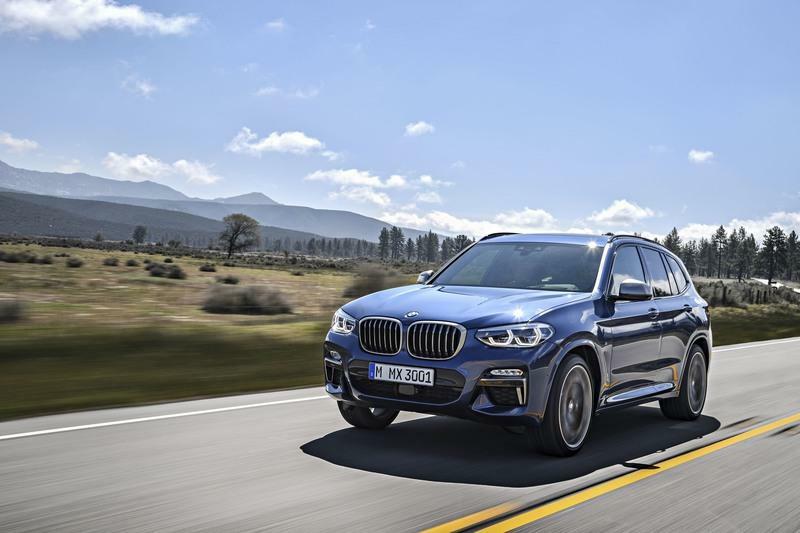 No, I’m not going to compare it to the Supra’s German cousin, the Z4 Roadster, but instead, I’ll turn your attention towards the BMW X3 M40i, the range-topping, non-M trim of Bimmer’s popular premium crossover. The X3 M40i is, in a word, loaded. It’s laded with premium materials. It’s loaded with standard features. It’s loaded with new tech options. And for the purpose of this discussion, it’s also loaded with a 3.0-liter inline-six cylinder engine that produces 355 horsepower and 369 pound-feet of torque. Ok, so it’s not that powerful, but where it lacks in over-the-top performance abilities, it more than makes up for everywhere else. See, the X3 M40i also happens to be one of the most versatile and rounded premium crossovers in the market today. It’s one of the easiest crossovers to drive, largely because of its agile handling. But it’s also a practical ride with great fuel economy — 20 mpg in the city and 27 mpg on the highway — a whole lot of cargo capacity. In a lot of ways, the X3 M40i’s inline-six cylinder engine is just the cherry on top of a loaded ice cream. Hard to argue against something that’s going to answer all your premium crossover needs in all the right ways. The BMW X3 M40i starts at $54,650.